In February of 2012, Student Housing Solutions was listed by Student Housing Business as the 25th best management company in the US. John Marti will be speaking at the 4th Annual InterFace Student Housing. Clink here to see whos speaking. TALLAHASSEE, Fla. (January 10, 2011) - Continuing a partnership that began in 2007, Student Housing Solutions, for a fourth consecutive year, has made a significant contribution to Tallahassee Community College. And according to Robin Johnston, Executive Director of the TCC Foundation, Student Housing Solutions' latest gift now brings their total support to more than one quarter of a million dollars. The donation enabled international students at TCC to secure housing accommodations for the 2010-11 academic year at one of Student Housing Solutions' properties free of charge. "This is a huge benefit for students who are already saddled with the cost of out-of-state tuition," added Johnston. "In addition, international students face some particular challenges when it comes to housing, as it is much more difficult for them to provide evidence of financial stability or good previous tenancy relationships." According to Betty Jensen, International Student Adviser, the scholarship sets TCC apart from other community colleges in Florida. "International students, unlike their American counterparts, cannot work off-campus while in school," said Jensen. "Because of that, the housing scholarship is significant." The latest gift from Student Housing Solutions will be presented to TCC during a 2 p.m. ceremony on Wednesday, January 12. The event will take place in the Grand Banquet Hall at the College's Center for Workforce Development. Student Housing Solutions is the largest locally owned and operated housing provider specializing in Tallahassee's student housing market. Portofino Villas, located directly adjacent to TCC's main campus, is one of the 20 communities within the Student Housing Solutions family. A personal experience of Student Housing Solutions' co-founder Steven Leoni was the catalyst to the housing scholarship program. At one time, he and his family hosted an au pair who attended TCC as an international student. The hoops, red tape and road blocks that the Leoni family personally experienced quickly revealed the challenges first-time international students face when enrolling for college in the United States. "Securing housing is the single most difficult thing an international student has to do," said Leoni. "It must happen quickly, many times prior to arriving in the country. Most students do not have the resources needed to obtain housing, such as a guarantor with a social security card and credit history in the United States." Student Housing Solutions' managing member James Sauls concurred. "As an organization, we identified an area that we could positively impact in our community, as well as the students at Tallahassee Community College," Sauls said. "Making a difference in the life of a student was the goal of this scholarship program." Since the program began, Student Housing Solutions has provided housing for more than 30 international students at TCC. One of the first students to receive housing assistance from Student Housing Solutions was Laura Namara, a native of Uganda. Namara enrolled at TCC in 2004 and finished her A.A. degree with honors three years later. Having decided to pursue a bachelor's degree in business administration and management through Flagler College's Tallahassee site, located at TCC, she was awarded one of Student Housing Solutions' first ten housing scholarships in September 2007 and became a resident at Portofino Villas. "That was more money in my pocket," said Namara. "Without the (housing) scholarship, there would have been no way for me to pay for both tuition and housing." After earning her bachelor's degree in May, Namara proceeded with securing optional practical training - the equivalent of an internship for international students - which must last for 12 months and be in the student's field of study. After speaking with Betty Jensen, TCC's International Student Adviser, Namara learned that an internship with Student Housing Solutions would be a perfect fit. The internship didn't last long - because after only one month, Namara's performance, along with the recommendation from Jensen, prompted Student Housing Solutions to extend a job offer. Namara now enjoys what amounts to a paid internship, while contemplating graduate school, possibly at Florida State University. "The Laura Namara story is exactly what our organization envisioned when Steven (Leoni) and James (Sauls) established the program," said Leon Grinnell, Director of Sales and Marketing for Student Housing Solutions. "She was awarded the housing scholarship by TCC based on a need, as well as her academic performance. She graduated and then obtained employment with Student Housing Solutions. "Now, the scholarship program has come full circle." International students interested in receiving more information or applying for the Student Housing Solutions Scholarship should contact Betty Jensen at (850) 201-8457 or jensenb@tcc.fl.edu. TALLAHASSEE, Fla. (September 12, 2007) - There's no place like home and thanks to a recent gift, the Tallahassee Community College Foundation will provide housing scholarships for ten of Tallahassee Community College's international students during the 2007-08 academic year. Student Housing Solutions (SHS), under the leadership of co-founders James Sauls, Steven Leoni and Peter Rosen, will present a check in the amount of $67,660 to the TCC Foundation during a ceremony on Friday, September 14 at 3 p.m. The ceremony will take place at Portofino Villas, located at 770 Appleyard Drive, just north of the TCC campus. "We are incredibly grateful for this generous support from Student Housing Solutions," commented Robin Johnston, TCC Vice President of Development and Executive Director of the TCC Foundation. "It makes it much, much easier for foreign students to come to TCC, which directly supports our desire to foster global education by encouraging multi-national exchanges." 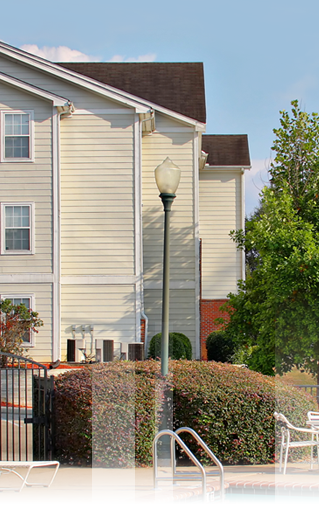 Student Housing Solutions is the largest locally owned and operated housing provider of student housing in Tallahassee. Among the 11 properties under the SHS umbrella is TCC's neighbor, Portofino Villas, the Exclusive Housing Provider for Tallahassee Community College. Within walking distance of TCC's main campus, one of Portofino Villas' greatest assets is its location. This coupled with the fact that students from abroad oftentimes face a number of obstacles when moving to the United States, SHS felt a natural affiliation with TCC, especially as the College continues to see an increasing number of international students, according to Leoni, who is also president of Leoni Properties, Inc.
Leoni experienced the plight of an international student firsthand when he and his family hosted an au pair who also attended TCC as an international student. It quickly became evident to him the challenges first-time international students face when enrolling for college in the United States. "Finding an apartment is the single most difficult thing they have to do," said Leoni. "It must happen quickly, many times prior to arriving in the country. "We (SHS) wanted to find a way to make this a much smoother process for international students." Betty Jensen, who serves as TCC's international student advisor, shared Leoni's enthusiasm over the partnership. "I am thrilled at the opportunity to have something in place to help these students financially," said Jensen, a native of Peru. "As internationals, they have to pay out-of-state tuition during their entire stay in college and, unlike their American counterparts, do not qualify to apply for financial aid. "The scholarship will help them tremendously while also making TCC more competitive in recruiting international students." Like Leoni and Rosen, Sauls sees the partnership as a win-win situation for both TCC and SHS. "Together, TCC and SHS form a winning combination when it comes to providing an education that is second to none and quality housing for students in the city of Tallahassee," Sauls, CEO of SHS, added. Students who will be attending TCC while living in Portofino Villas on behalf of SHS' contribution are: Ayumi Kairada (Japan), Diego De Barros (Brazil), Laura Namara (Uganda), Doris Kobero (Tanzania), Randy Naraine (St. Maarten), Aristole Maccaw (St. Maarten), Kimberly Firth (England), Maria Amores (Ecuador), Martha Camacho (Venezuela) and Elena Villagrana (Mexico). TALLAHASSEE, Fla. (September 11, 2005) - Student Housing Solutions has made six units in a student housing complex available to a family of 20 from New Orleans who have lost everything. The units are fully-furnished, one-bedroom apartments with individual bathrooms in the Villa San Carlos complex, 205 White Drive. Southern Furniture provided the furniture. The family moved in Friday. Members of Student Housing Solutions have also invited family members, seven of whom are children, for home-cooked meals.